Swedish Massage (PHP 500 / 60 minutes) – It stretches the ligaments and tendons keeping them supple and pliable. It increases the oxygen flow in the blood and releases toxins from the muscles to sooth tired aching muscles and relieve stress leaving your mind and body at ease. Shiatsu Massage (PHP 500 / 60 minutes) – This is an oil-free massage. The session often begin with gentle stretching and manipulation techniques to help stimulate the movement of energy and to relax the muscles. Foot Reflexology (PHP 500.00 / 60 minutes) – Though Oriental massage techniques using pressure points on the hands and feet, our therapists will bring energy flow to specific areas of the body and release blockages to restore balance and harmony in the body, mind and spirit while relieving stress. Serene Wellness Manicure and Pedicure (PHP 350 / 45 to 60 minutes) – Well-groomed nails show off your health down to your fingertips. Filing and shaping of nails, cuticle treatment, relaxing hand massage and choice of polish of buffing to a natural shine. Soothing Body Scrubs – Using an exfoliating scrub, we gently slough away dry, flaky skin. Your body will be left smooth, silky and healthy. 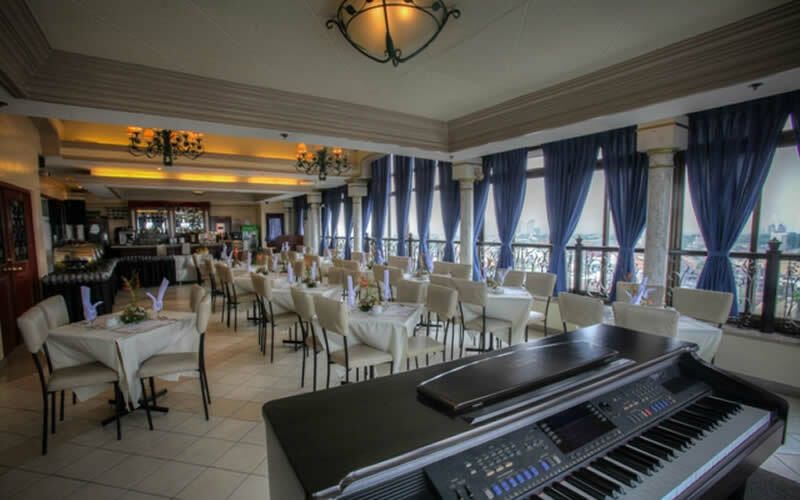 The 1572 Restaurant and Ballroom caters to the most discriminating of customers. Consider the amenities of 1572: the stylish, classy ambiance of a fine dining restaurant with the flair for the romantic; the all glass façade that looks out to the panoramic view of the Ortigas Center and Makati; and the professional service of our kitchen and dining staff. 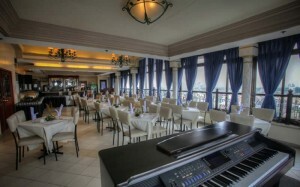 All these contribute to an elegant setting that make your visit and special occasion truly meaningful and memorable. Come and visit us and have a taste of a whole new dining experience at prices that would make the trip worthwhile. The memory of your stay with us will certainly linger and we will expect you to come back for more. The Vigan Conference Hall is a brand new Multipurpose Hall that is strategically located at the 6th floor of Fernandina 88 Suites Hotel. The fully air-conditioned Hall was built to accommodate the growing needs of different companies and organizations for their product presentations, planning sessions, conference and meetings. 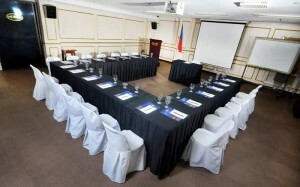 With sitting capacity of 40 persons, this newly constructed convention hall offers amenities that would make every meeting or seminar a success with reasonable rates. 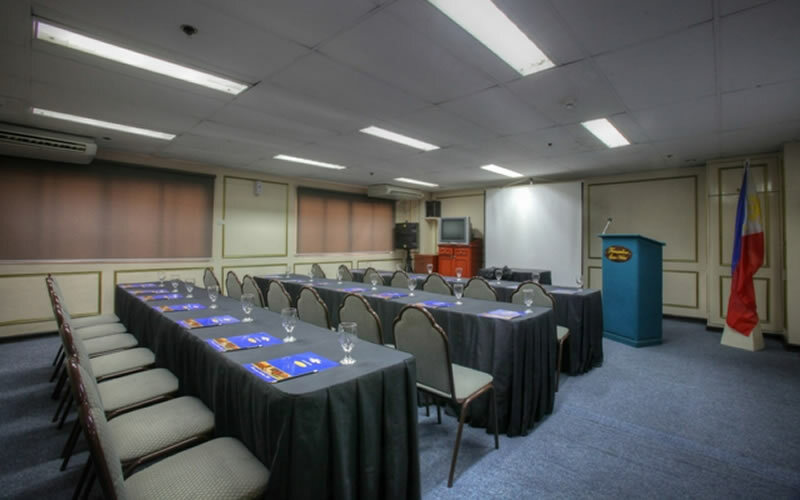 To view room availability and rates at Fernandina 88 Suites Hotel in Quezon City, click the link below.